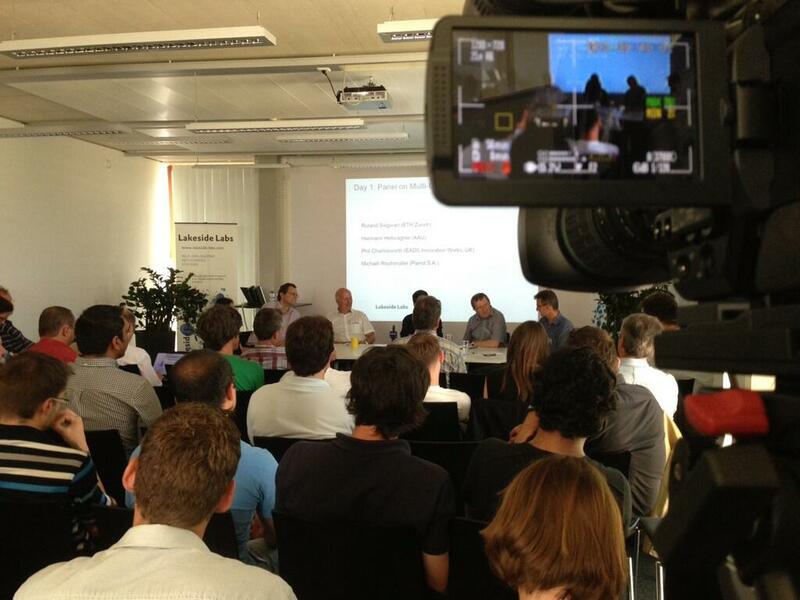 The Sixth Research Days of Lakeside Labs und U Klagenfurt from July 8 — 12, 2013, hosted invited experts, professors, and young researchers to discuss ideas and exchange experiences on systems with multiple unmanned aerial vehicles (UAVs). Autonomous UAVs are used with increasing interest in civil and commercial applications and by the scientific research community. Recently, research and development efforts have shifted toward using teams of UAVs for monitoring, surveillance, or disaster assistance, to name a few applications. However, the design principles of such a multi-UAV system still need intensive investigations. Ideally, a multi-UAV system is robust, adaptive, resource-efficient, scalable, cooperative, supportive of heterogeneity, and last but not least, self-organizing to realize its full potential. To achieve these properties, the physical control of individual robots, their sensor data analysis, navigation, and communication capabilities need to be integrated, which naturally brings together experts from many disciplines such as robotics, networking, and swarm intelligence.